Excuse me while I barf!! There's something very wrong about that! "Major General Arnold McSchwarzenegger leads his legions of 3 month warranty cyborg volunteers into a titanic fight to the death with the Rebel hordes of atomic death zombies". Features 8 new levels of secession mayhem and a lycra clad Abe "The Emancipator" Lincoln. You guys are just too set in your ways. Is it a John Tiller game? I dont understand whats wrong with the link. 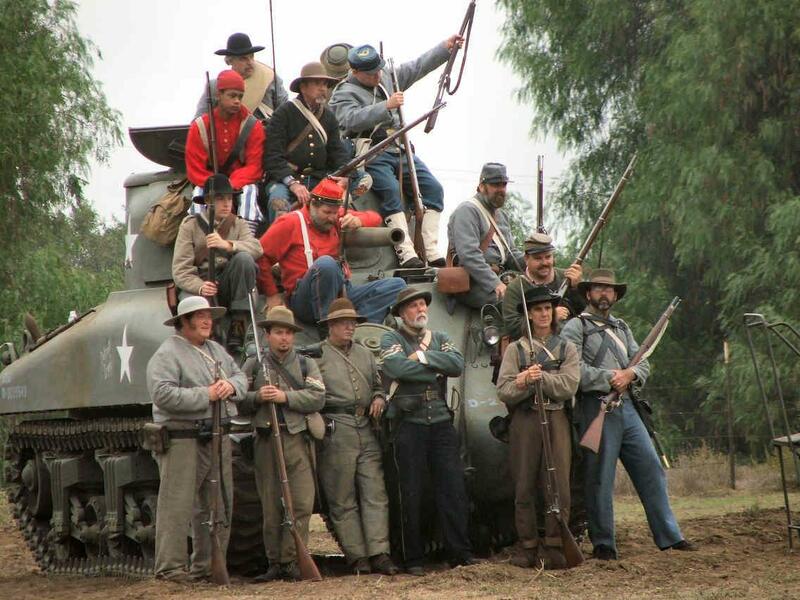 Armored units were always a part of the Civil War. I for one am glad to see them, at long last, added to the games! I am happy to finally see this overlooked part of our history addressed! I knew the Rebs cheated during the War! If the Yanks want Pink tanks than, hey, good for them.